We operate under the philosophy of delivering phenomenal experiences. We are guided by integrity and an all-consuming desire to exceed expectations and build long-term partnerships. We strive to achieve this goal by providing responsive, accommodating service to each of our valued clients and a supportive, team-focused culture and work environment. We carry multiple silver and gold competencies from Microsoft and were recognized as Microsoft's SMB Champions Club Cloud Partner of the Year for 2013, 2015 and 2016. In 2017, we were recognized as Microsoft's Office 365 Partner of the Year. We help our customers get the most out of their IT systems and processes - in the Cloud and On-Premises while we empower our employees to do what's right for our customer, our business, and their families. If you aren't interested in being challenged...this isn't the right place for you. Phenomenal experiences are not only for our customers but for our team as well. 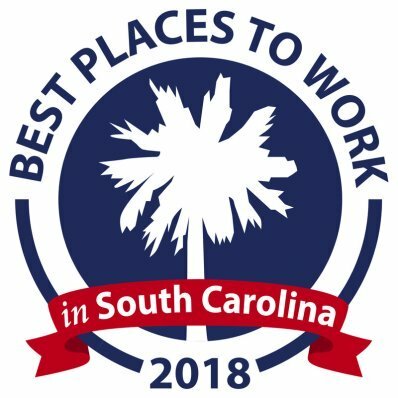 We have been recognized as one of the Best Places to Work in SC by the SC Chamber of Commerce in 2014, 2015, 2016, 2017 and 2018 (in the top 10 every year!). Our organization offers a great life/work balance (did you notice that the life came before the work?). We love to reward top players and are always looking to add top-tier talent to our team. You get your birthday off every year!